LocusPlay - Mobile Lottery Platform: Wondering! Why online lottery is so popular? Wondering! Why online lottery is so popular? Everyone has unique preferences, which influence the choices they make when they want to engage in different activities e.g. choices for utilization of money, whether to trade or just keep investing. People enjoy gambling due to diverse reasons, one of them being a great interest. 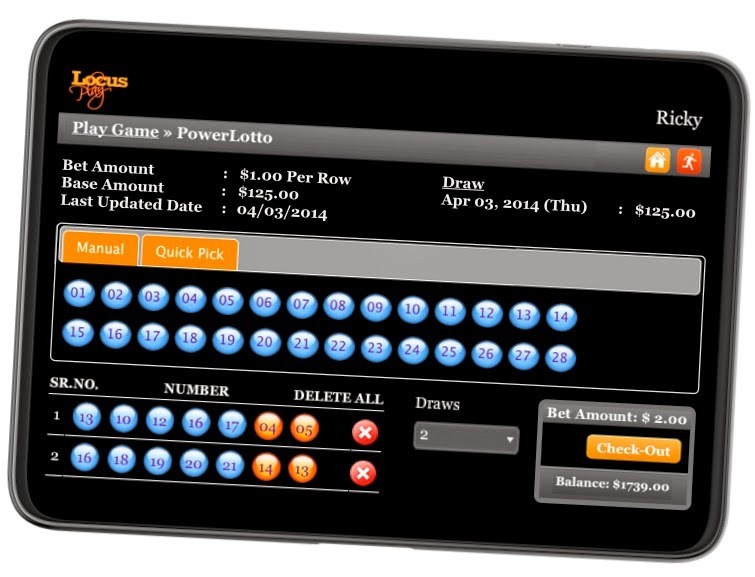 The growing use of Internet has enabled players to savor online lottery and online gambling. This can be described for different reasons. The omnipresence of Internet - it is easy for people to carry out different transactions including placing bets irrespective of their location. This is different from having to pay a visit to the store to buy a lottery ticket. With the changing technology and demand, one just needs to go online either from their computers or from their mobile devices and place their bets on a lottery of their choice. Play anywhere, anytime - It is convenient for a player to place bets considering that he can do so at the comfort of his home or even while on the move. This is mainly because the lottery is now accessible on different computing devices including Smartphones and Tablets, hence enabling players to track their bets with ease. This adds convenience to the entire process since one does not need to schedule a specific visit to the store or wait to combine it with other tasks. Lottery’s push for new customers – Many lotteries provide Internet and online players with a wide array of options on where and how they should place their bets. This number can far exceed the few games that players have access to when they visit a store to buy a lottery ticket. Lotteries can now push for more games and special promotions to attract more players who prefer to play online. More profit (a Win-Win situation)- The operations costs of Internet and mobile based gambling are considerably low compared to offering lotteries through a retail channel. This can significantly reduce logistics cost as well commission paid to the retailers. This enables lotteries to offer more rewards to the players who play online. This usually works great for a new lottery or a lottery that wants to compete against another established lottery. Security and privacy concern – There are many players who want to play lottery, but are not willing to make a visit to the store to buy a ticket. Sometimes, it is a social stigma or sometimes the issue of privacy. This is a significant mass that lotteries would not like to take their eyes off from. Online lottery or mobile lottery helps such segment of players to transact securely and at the same time make it a private affair. Are you intrigued by the benefits of an online and mobile lottery? Is it something that was on your mind since quite a few times, but was unable to find the right technology partner? Here, we go. Please visit us at LocusPlay and send in your request to see the demo of our product.